Hi Steve. How did Arthur pop into existence? As these things often do, it started without much thought. I was at drama college and we were doing a term on circuses – because we had terms like that, we had one on zoos where you had to go and find an animal to pretend to be – but we were doing one on circuses and had to become a circus act. I decided to come up with something that was slightly outside doing your normal tightrope walker or juggler and so became a circus strongman who played a piano. He ended up lifting the piano – an imaginary piano obviously – and then had a fight with Dracula and did battle to see who had the strongest teeth… so that was the starting point. The character went down very well with the people in the audience and one of the tutors, who became a mate of mine when I left – a guy called Lyall Watson, who is a TV writer now – whenever I ran into him he’d say ‘why don’t you get that character going?’. I thought ‘mmm, maybe there is something there’. In the back of my head I was always taking a second look at things. There’d be my take on it, then I’d wonder how Arthur might react to something like that too. So I’d always kind of kept the character in my head, but never really thought it’d add up to anything. Then one day Lyall, who wanted to do a bit of directing, got in touch with me and said ‘look, I’m working with a couple of other people who are kind of character comedians, why don’t we hire somewhere and put on a night together?’. So we actually did it at the Kings Head in Crouch End in 1997 – that was my first public appearance as Arthur. I got 20 minutes of material together and thought, ‘Oh, this is better than acting. This is better than hanging around and waiting for someone to walk you through a room as they stand and look at you’. It was a very liberating thing, thinking ‘oh, hang on, you can hire a venue, write a little bit of material, go on in front of people and get an immediate reaction’. After the show the guy that ran Madame JoJo’s in Soho came up to me and said ‘we’d like to book you for a comedy night’. That was the immediate feedback I got, so I packed up acting and started developing Arthur. We continued to run the night at the Kings Head for 8 or so performances there… then I went to Edinburgh – it all happened quite quickly really. Fast forward to now and Arthur is now about to be on TV with his own series. You must be very excited and thrilled? Yeah, all of that. Sitcoms have had an important place in my life, from very young age – it’s a form of television that I’ve always been drawn to, and it was a notion that I had fairly early on with Arthur that I would like to do that. Television people would come to the live show and would think ‘oh, this is very funny, but of course you couldn’t have it on television’, the radio people turned up to the live show saying ‘it’s very funny but it would never work on radio’, but I always thought it’d work. It’s peculiar really, I’ve worked in all the mediums now and I would say I haven’t had to change Arthur at all. There’s an instinct there for being in different mediums. It was a problem for people at the outset, but it was never a problem for me. I couldn’t quite explain how I know what the difference between the mediums will be. Those conversations were sometimes a bit frustrating, because I would say ‘well, of course it’d be different’, and they’d ask ‘but how?’ and I’d say ‘well, because it’s radio!’. Those that have been to the live shows will know they’re a bit more animated – they’re louder, they’re slightly more aggressive in delivery and Arthur is more likely to lose his temper and shout at you – you can’t do that on the radio… it’s just common sense. So, to have got through all that, to have had a successful 7 years on the radio, and to now finish making a what will hopefully will be the first of a number of series of a television sitcom is great. Count Arthur Strong. Image shows from L to R: Eggy (Dave Plimmer), Sinem (Zahra Ahmadi), Michael Baker (Rory Kinnear), Count Arthur Strong (Steve Delaney), Bulent (Chris Ryman), John The Watch (Andy Linden), Katya (Ruth Posner). Image credit: Retort.Talking of changing as you change mediums – the characters in the radio show aren’t the same as in the television series. Why is that? Having said that, the intention was never going to be to make a television version of the radio show, it was to create a fresh look at that character. It had to be really, otherwise you’d have your hands tied behind your back by what had gone before. IT Crowd creator Graham Linehan has collaborated with you on the television series. How did that partnership come about? Graham and I have been working together for quite some time on it as an idea. He was a fan of the radio show and just got in touch to let me know that, and we began to exchange the odd email here and there. Then he emailed me saying he’d give me a hand in getting the show on the television, actually ‘help in any way he could’ I think he said. Which was great, because there’s nobody I’d rather be working with. He’s absolutely the right person to be collaborating with – it’s been brilliant, we’ve had fun working on the show. This has been your first major TV sitcom acting role – has it been a steep learning curve with all the camera angles and things like that to learn? No, no, it wasn’t at all. The crew were just absolutely brilliant. If you weren’t doing something right or you weren’t where you should be… [they’d help out]. It’s what you rehearse for. It was just an absolute joy. You would imagine that it might be tense in a live sitcom recording with the audience and the cameras and thing going on and what not, but I felt right at home with it. I absolutely loved it. I felt very relaxed – keyed up, but relaxed with the audience. It was great fun, I really felt that’s where I should be… that’s where Arthur should be, I should say. Count Arthur Strong. Image shows from L to R: Count Arthur Strong (Steve Delaney), Michael Baker (Rory Kinnear). Image credit: Retort.The key dynamic of the television version of the show is Arthur’s relationship with Michael, the character who is researching for a book about his father. Presumably once the book has been finished that’d be the end of Michael needing to be in Arthur’s life? Have you thought ahead as to what would happen in Series 2? We have a very clever idea for a second series and the continuation of the Michael and Arthur relationship, as that relationship is key to the show I think. That’s very important. In the stage shows I do, it’s 90% Arthur by himself. I was talking earlier about the different between the live shows and radio shows – you can’t do that on the radio – it’d be one voice, one monologue. Characters were added to the radio show so Arthur could play off them. In exactly the same way, it’s imperative to have right characters in the television show – it can’t be monologue after monologue of Arthur talking about something in the past: it has to be real characters, real situations, real action and reaction. That was the fantastic thing about the television series, the pool of the performers we got in there establish themselves as characters and that’s something we continue right through the series. Hopefully there’s some bittersweet moments in there and things like that too. That was very important to Graham and I when we started. The word we use a lot to each other when we are talking is ‘heart’ – make something that has a heart to it. Not just something that uses cruel humour or that kind of thing. I think we’ve been successful on that front. It’ll be very interesting to see what people make of it. Indeed. 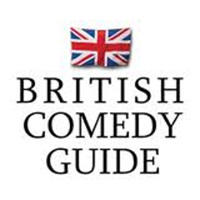 The 8:30pm slot indicates you’ve made something that’s not a ‘cruel comedy’. Final question Steve – have you ever become Arthur when not performing, to fool people? If we were you we’d do it all the time! I am Arthur an awful lot anyway [in terms of personality], so it’s less of a temptation for me… I think we’ve got some Arthur masks coming out in time for Christmas, so feel free to do it yourself. Ha ha. I can easily drop into Arthur if I need to, and there have been little projects and things I’ve done in the past where I’ve been on the street as Arthur – interviewing people as Arthur for instance – and they don’t know whether it’s a real character or not. Yes, that’s fun, but I can honestly say I’d rather go to a decent cafe as myself rather than try and get a coffee as Arthur. I do give cold callers a hard time on the phone though! Thanks for all your time Steve, and all the best with the series.